Last September, Dan and I visited Italy for 6 glorious, but tiring, days. If you follow me on Instagram (Cally_Beckley if you fancy a gander) you will have seen half my feed is full of #Italy #Rome #Venice like a cultured lil' human. 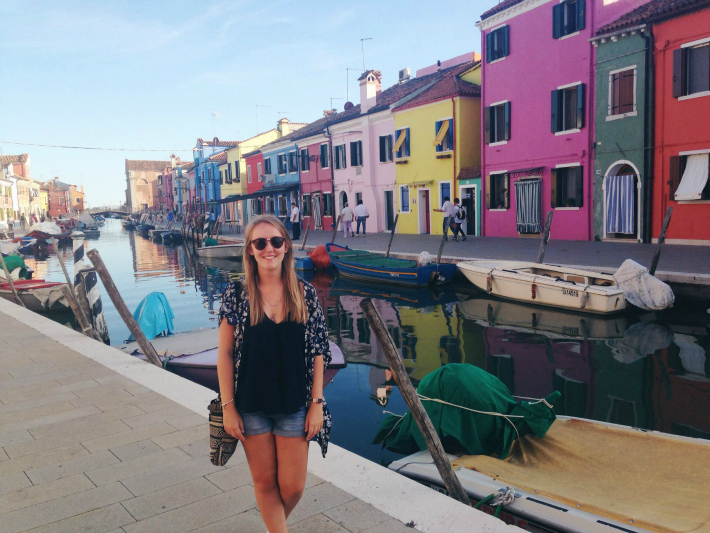 We spent 3 days in Rome then 3 in Venice - a quick whizz around the country of pasta, pizza, prosecco and plenty of tourists - but we managed to cram a lot in, and discover many things about the wonderful country. 1. You will inevitably be hit on the head with a selfie stick or have one thrust into your hand. Granted, this isn't an Italian problem; this is a tourist problem. One man even stopped us, and other passersby, on a bridge in Venice so he could have a mini photoshoot with his wife. 2. There is no limit to how many carbohydrates you will eat, much to my stomach's dismay. Pizza/pasta/other Italian dish for lunch then pizza/pasta/other Italian dish for dinner. Multiple courses leaving me clutching my food baby every evening. Mamma Mia! 3. You can't walk 10 feet without stumbling across a monument. 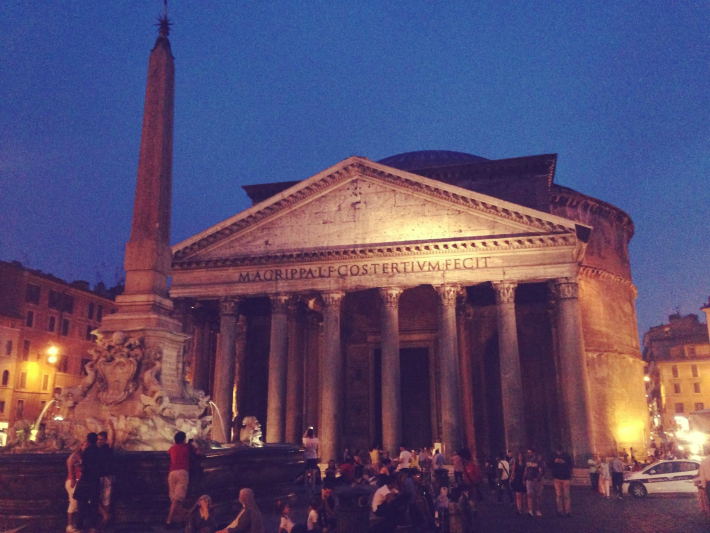 The Pantheon is comfortably situated in the middle of a Piazza, surrounded by restaurants, serving as a backdrop to a cigarette (not that I smoke, it just sounds more exotically European) and an Aperol Spritz. 4. On that note, Aperol Spritz is the drink of choice if you're a tourist. Ain't no tourist until you have an Aperol Spritz...even if it does taste a bit medicinal at the start. 5. Aaaand staying with the food and drink theme: the gelato is really THAT good, especially when I didn't have it melting down my hands and legs. It was 30+ degrees and I'm a slow eater. Chocolate and Hazelnut are my choices - Nutella in a tub. Nom nom. 6. 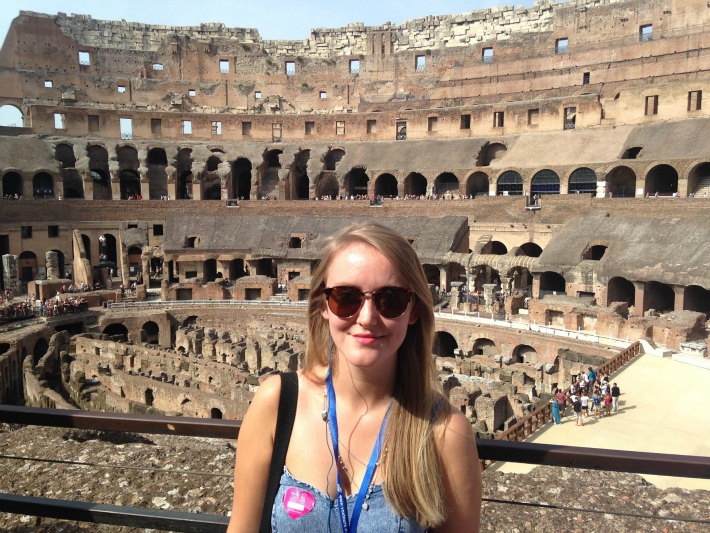 The Colosseum is frickin' awesome. I've always wanted to see the Colosseum ever since I learnt about the gladiators in history lessons 12 years ago (wow, that makes me feel old). It did not disappoint. The stories about the old stadium are incredible and it literally feels like you've stepped onto a film set. 7. Michelangelo was a fascinating character. We got to go in the Sistine Chapel and see his paintings like The Creation of Adam. It's on the ceiling so he would lie on his back to paint and have paint dripping into his eyes, almost leaving him blind. Definitely someone who suffered a lot for his art. 8. 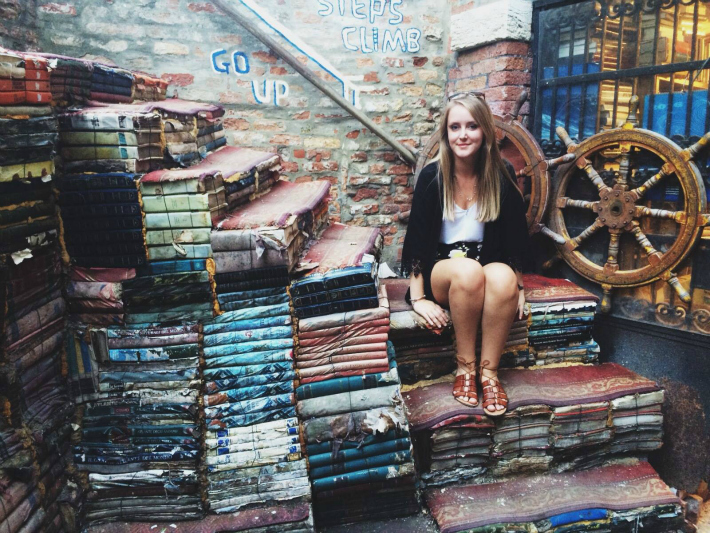 In Venice there is a staircase made entirely out of books and yes it is as great as it sounds! It's at the back of a bookshop called Libreria Acqua Alta Di Frizzo Luigi. I was pestering Dan for a good half hour to take a decent photo. Sorry babe. 9. Italy isn't good for your (my) back. I spent most of the holiday dosed up on Ibruprofen because my back was in agony. So much walking (and a suspected pulled muscle). Walking down the steps of every bridge in Venice was a treat on my back each time. Bring sensible shoes! 10. Gondola rides are pretty expensive. Just in case, set aside 80 euros (average price) for a half hour trip. Or if you're anything like Dan and I it will turn into 45 minutes whilst the driver leaves you alone to pop to the toilet. 11. You will want to buy every Venetian mask you come across - they are seriously beautiful! I ended up with a mini one with gold detailing and music notes on the forehead. It's nestled on our fireplace and I love it. 12. If you have a Pandora charm bracelet, like myself, you won't be able to resist the charm shaped like a gondola. We queued for a loooong while that day. 13. The phrase "When in Rome" becomes a justification for absolutely everything you will do. Looks like you had a lovely time, i love Rome!